The Earring Collection: Pinterest....here we come! ...on your marks, get set,... PIN! Just a little snapshot of all the gorgeousness to be seen on our Pinterest boards and pins. The Earring Collection has taken the plunge into another new and exciting online adventure: Pinterest!! A lot of you will be familiar with Pinterest already. For those of you that aren't, we can only say: Sign up and give it a go, we are sure you will love it. There is a whole Pinterest world out there waiting to be discovered. 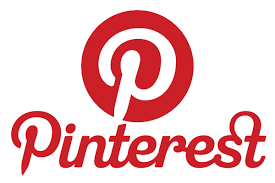 So come and join us at the visual feast and pinning madness that is Pinterest. Follow us for the latest photos of new and exquisite items of jewellery, that might not even be on the web-site. Re-pin our pins and use them as 'subtle' hints to suggest what presents might be suitable and most appreciated for the next gift-giving or -exchanging occasion. From earrings as individual as you are to rings, bracelets, pendants and collars, we have got something for everyone. And if you have seen a special something you like and cannot get it out of your head, why not get in contact for more information! Or, better still, come and see us in our shop in Cowes High Street, we are open 7 days a week, Monday - Saturday 10am - 5pm and Sunday 10am - 4pm.